I LOVE Gardein. Their vegetable-based proteins are a perfect meat replacement, plus they are DELICIOUS. 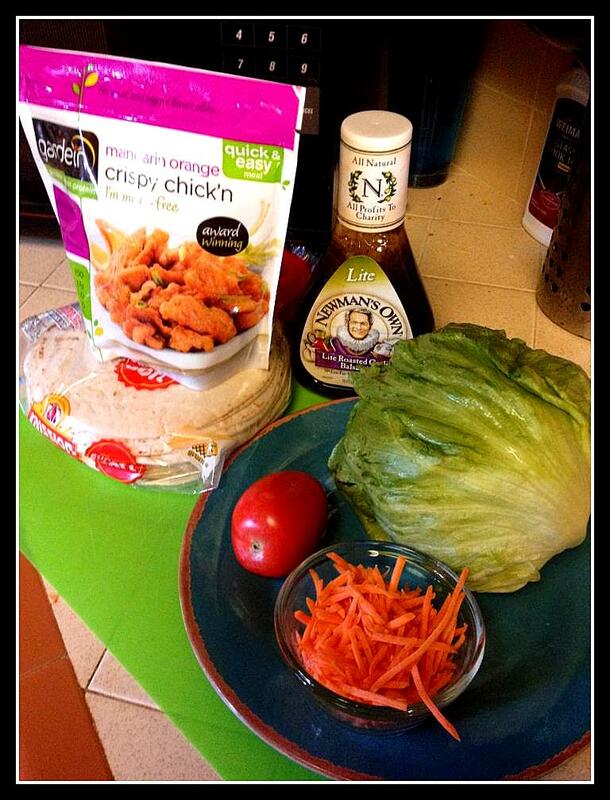 I use the Mandarin Orange Crispy Chick’n for these tacos. And you can add anything inside them – but for the sake of those looking for a fast and easy meal…you can add shredded carrots, lettuce and diced tomato (as pictured above) with a drizzle of your favorite dressing (totally optional) or sauce. The last time I made these, I used a Ginger Asian sauce that went really well with the Gardein.